Observation - Birch Polypoer - UK and Ireland. 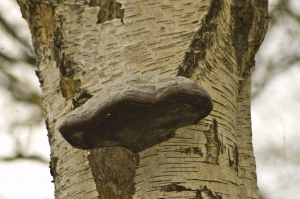 Description: Bracket type fungus a scalloped smooth top, ringed shades of grey, tight pores under side. Bracket type fungus a scalloped smooth top, ringed shades of grey, tight pores under side.